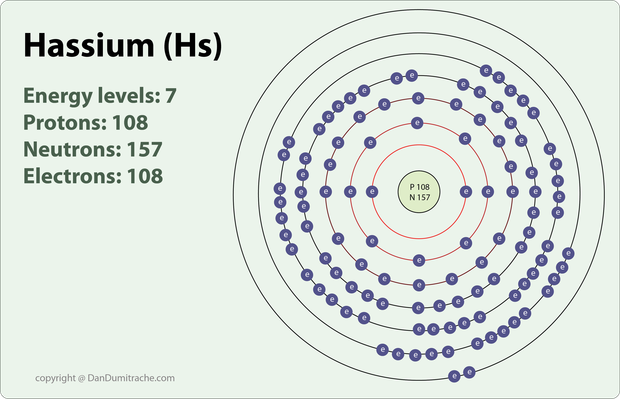 Chemical properties of Hassium are the melting and boiling point are unknown, vanderwaals radius unknown, ionic radius unknown. Hassium was named for the German State Hessen . All nine of it's isotopes have extremely short lives . The most stable is 270HS with a half life of 22 seconds . If a large quantity of Hassium is ever made scientist expect it to be a silvery-colored metal that reacts quite readily with oxygen in the air to create a highly volatile tetroxide.